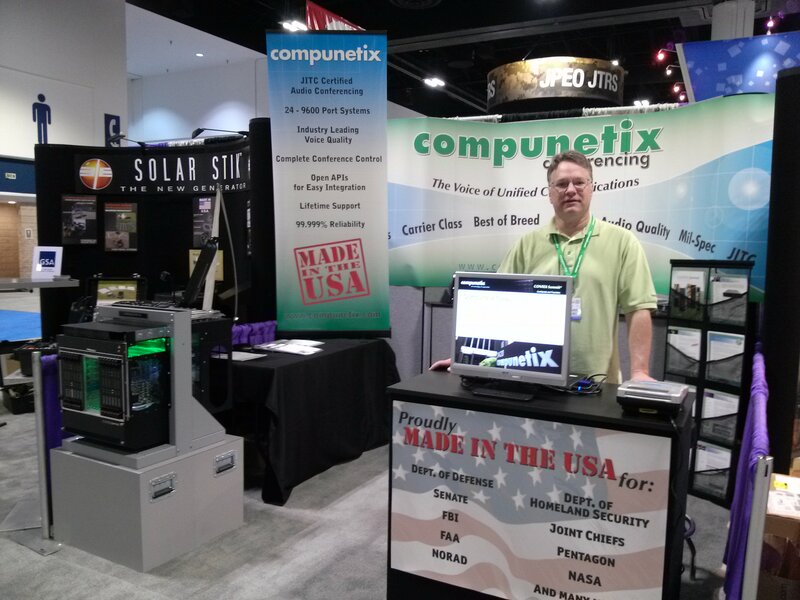 Compunetix Events Bonanza – WR, ISE, AFCEA West! Speakers include a number of thought leaders in the UC&C ecosystem, from technology vendors to service providers, and from channel partners to end users. Jerry Pompa, Senior Vice President and Division Manager of the Communications Systems Division is featured on a panel discussing today’s and tomorrow’s UC&C. ISE is the premier pan-European forum for the markets of professional AV and electronic systems integration. The Video Systems Division will be at booth 12-B71 to introduce their new approach to total, end-to-end unified communications and collaboration with the EVERGREEN line of video platforms. VSD will also be debuting new hire Eric Murphy, Global Solutions Manager. To set up a meeting with Eric or VSD Division Manager Jim Klueber, email them at emurphy@compunetix.com or jklueber@compunetix.com. Or you can see Eric in action moderating a panel at the IMCCA/InfoComm Collaboration Pavillion. Our government team will be at booth 1814 at West 2013 touting our world-class mission critical JITC solutions, voice alerting, and scalable, secure UC&C offerings. Check us out! Are you out and about at the events? Tweet us @CompunetixAudio! Use hastags #WRAMS13, #ISE2013, and #West2013.